Baby Comes Home communicates the latest science that explains how positive or negative early childhood experiences can have lifelong consequences. 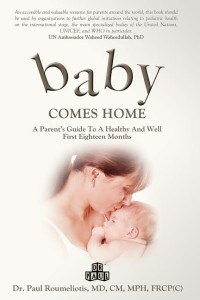 The book begins by describing the vital changes that occur in a baby‘s brain during the first 18 months. It then explores the new “Science of TLC”, that shows how tender, loving, and caring relationships with babies help to positively shape their brains. The book then presents important practical information on safety in the home and outdoors, baby routines/patterns, immunizations, injury prevention, nutrition, and more. To complete this useful guide, DR.PAUL also reviews common baby care issues and concerns as well as illnesses and conditions commonly seen during the first few years of life. My husband and I are big believers in hugging and coddling our three year old son. We provide a lot of hands on attention, time and love and I enjoyed reading about why these have all been and will continue to be important to his development and overall well being. 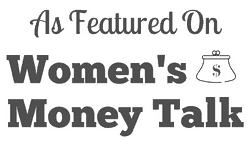 As a personal finance blogger I love how the author of this book puts love and attention in the context of money. In essence, he points out that none of these things require money. It is more about the time, attention and care with which we care for our children. Not the money we spend on them or the toys we purchase to fill their playrooms. Much of Dr. Paul’s chapters focus on the health and safety of babies and young toddlers. I think this book would function as a great guide to the common health questions and concerns of any parent. He discusses everything from constipation, earwax, nasal congestion to more series issues like allergies, apnea, croup and ear infections. In fact, over 150 pages of his book are dedicated to the symptoms and treatments of childhood diseases. As a new parent this isn’t necessarily the type of book that you need to read cover to cover. While the first few chapters are quite helping in preparing your home for a new baby, the rest of the book could be kept as a guide to any medical issues that might crop up in the first few years of your child’s life. Disclosure of Material Connection: I received this book for free, but the opinions I have expressed are my own. I have been devouring parenting books lately, but haven’t heard about this one. I like the focus on snuggling babies – best parenting advice I’ve ever heard!